Since the rise of Napster and other file sharing services in its wake, most of us have assumed that intellectual piracy is a product of the digital age and that it threatens creative expression as never before. The Motion Picture Association of America, for instance, claimed that in 2005 the film industry lost 2.3 billion in revenue to piracy online. But here Adrian Johns shows that piracy has a much longer and more vital history than we have realized - one that has been largely forgotten and is little understood. Piracy explores the intellectual property wars from the advent of print culture in the fifteenth century to the reign of the Internet in the twenty-first. Written with a historian’s flair for narrative and sparkling detail, the book swarms throughout with characters of genius, principle, cunning, and outright criminal intent: in the wars over piracy, it is the victims - from Charles Dickens to Bob Dylan - who have always been the best known, but the principal players - the pirates themselves - have long languished in obscurity, and it is their stories especially that Johns brings to life in these vivid pages. 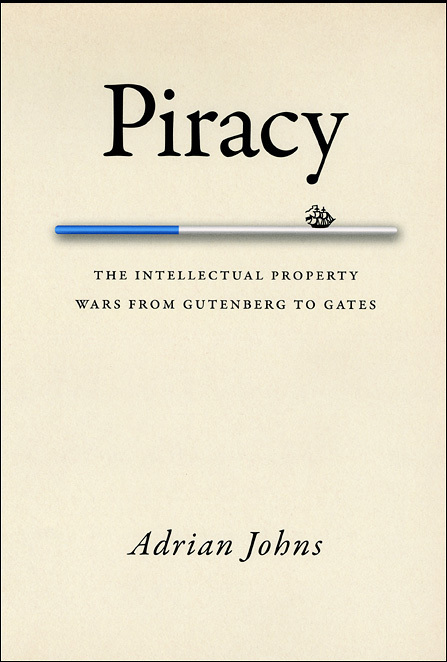 Brimming with broader implications for today’s debates over open access, fair use, free culture, and the like, Johns’s book ultimately argues that piracy has always stood at the center of our attempts to reconcile creativity and commerce - and that piracy has been an engine of social, technological, and intellectual innovations as often as it has been their adversary. From Cervantes to Sonny Bono, from Maria Callas to Microsoft, from Grub Street to Google, no chapter in the story of piracy evades Johns’s graceful analysis in what will be the definitive history of the subject for years to come.